Stace often plays solo, but has also done concerts with various backing bands, most recently the English UK. 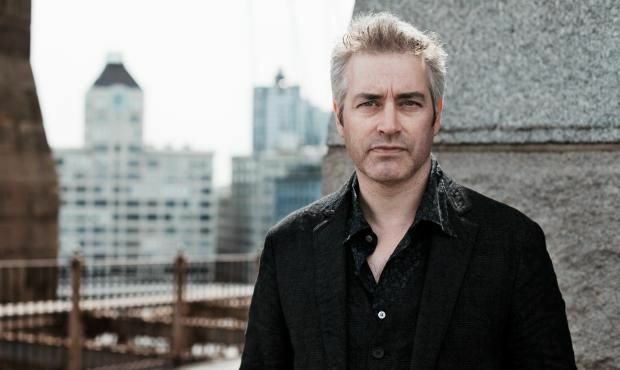 As John Wesley Harding, he has released 17 albums, including 2009’s Who Was Changed and Who Was Deadwhich he recorded with The Minus 5. His subsequent album, “The Sound of His Own Voice”, featured members of that band as well as The Decemberists and was released in 2011. His work includes “I’m Wrong About Everything”, which was included on the soundtrack for High Fidelity. He has also covered the Madonna song, “Like a Prayer”. Harding was chosen by Bruce Springsteen as his first opening act in 20 years for his solo shows at the Berkeley Community Theatre in 1995. In 2005, he published his first novel, Misfortune, under his real name, Wesley Stace. It was nominated for the Guardian First Book Award, and shortlisted for the Commonwealth Writers Prize and the James Tiptree, Jr. Award. Misfortune was also chosen byAmazon.com as one of the Ten Best Novels of 2005, and was one of the Washington Post’s Books of the Year. Misfortune, translated as L’infortunée, became a best-seller in France, and has also been translated into many languages including Hebrew, Chinese, and Japanese. The movie rights to “Misfortune” were sold in 2008. His 2005 album Songs of Misfortune comprises songs written for, or appearing in, that book. His second novel, By George, was published in August 2007; it was one of the New York Public Library’s “Books To Remember” of 2007, and Booklist Editor’s Choice for books of the year. A third, Charles Jessold, Considered as a Murderer, was published by Jonathan Cape in the UK in July 2010 and Picador in the USA in February 2011, and was one of the Wall Street Journal’s Top Ten Books of the Year. Stace has reviewed for the Times Literary Supplement, The Wall Street Journal and The New York Times. Other writings include chapbooks for some of his albums, and essays for various music publications from Creem to Raygun. His essay, “Listerine: The Life and Opinions of Laurence Sterne,” published in Post Road No. 5, was nominated for a Pushcart Prize. “John Wesley Harding’s Cabinet of Wonders”, his series of variety shows, began in Spring 2009 in New York City at (Le) Poisson Rouge, before moving to City Winery, and has included appearances by Rosanne Cash, Graham Parker, Josh Ritter, Rick Moody,Colson Whitehead, Jonathan Ames, A.C. Newman, Rhett Miller, Steven Page, Eugene Mirman, David Gates, John Roderick, Jon Auer, Tanya Donelly, Martha Plimpton, Todd Barry, Steve Almond, and Stephen Elliott. The spring 2010 series featured, among others,Sarah Vowell, Sondre Lerche, Buffalo Tom, Janeane Garofalo, Robbie Fulks, Paul Muldoon. Artists in the series included Andrew Bird, Tift Merritt, and David Wax Museum. Podcasts of the series can be heard on NPR’s “Cabinet of Wonders.” and recently onSalon.com. Live shows continue in New York City and across the country. Stace was artist-in-residence at Fairleigh Dickinson University, where he curates the Words & Music Festival. On 6 May 2010, the Festival ended with “Jersey Rain: Robert Pinsky and Bruce Springsteen in conversation with John Wesley Harding” in the Dreyfuss Theater; the conversation was later published in the journal Radio Silence. The series also included a presentation by Harding and Paul Muldoon on their collaboration. In the Spring of 2013, the two writers taught a course at Princeton University entitled “How To Write A Song”. In Spring 2013 at Central Connecticut State University, the English Department offered a course dedicated to Stace’s songs and novels (“The Allusive John Wesley Harding/Wesley Stace,” ENG 214). Harding has returned to his given name, for the release of his new album, Self-Titled. Two of the tracks are co-written with the Fiery Furnaces’ Eleanor Friedberger, and alternative versions also appear on her album, Personal Record. Stace co-wrote all of the songs on Personal Record with Friedberger. Stace reveals the new album is autobiographical in nature, one of the reasons he chose not to release the new material under the moniker of John Wesley Harding. The self-reflective songs are also influenced by Stace’s love of seventies’ singer-songwriters, the softer sound a change he felt was a natural transition in his career. Stace’s fourth novel “Wonderkid” was published in February 2014 by The Overlook Press.